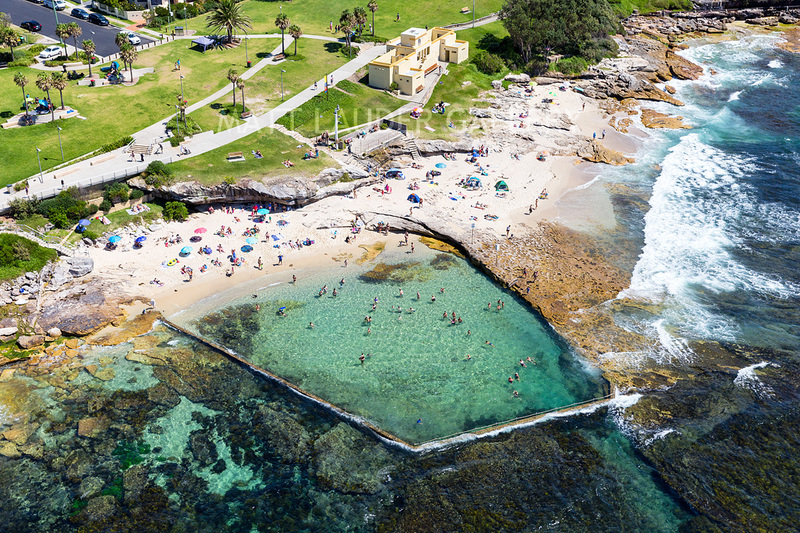 Back in 1819, the first ever ocean baths in Australia were made by convicts in Newcastle who made a private bathing area for The Commandant Major James Morisset and he named it “The Commandant’s Baths” these baths are now known today as the Bogey Hole located just up from Newcastle Beach. From here the trend was set and it seemed like every beach in Sydney now had to have its own set of ocean baths, some were created better than others, some are more of a rock pool carved out of the natural landscape where others are more man-made, some are a combination of them both. As a photographer, these baths are a lot of fun to shoot and finding that great composition either on the ground or in the air can be challenging and also rewarding as well. So here is a list of what I feel are the best 15 ocean pools in Sydney. Let me know in the comments what your favourite baths are and why? 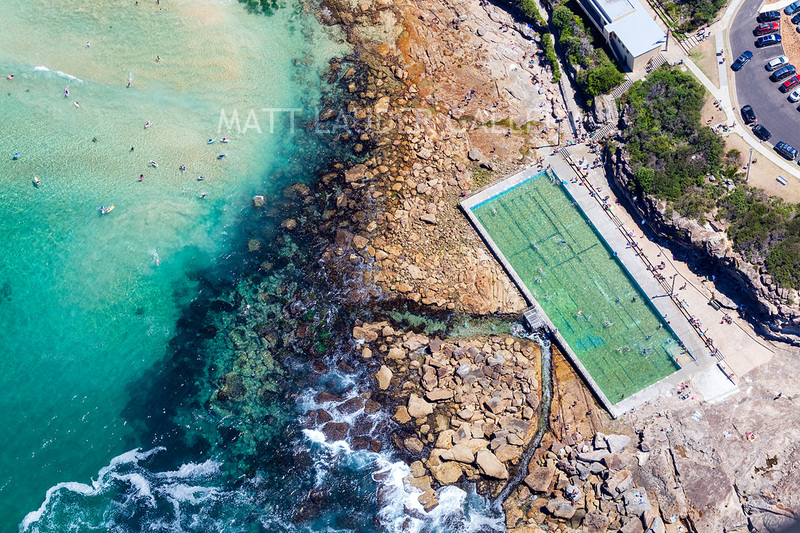 Freshwater Beach Rock Pool is a 50 meter long Olympic sized ocean pool that is full of salt water from the ocean and has 8 marked lanes on the bottom (as you can see from the above photo). The pool is closed late on a Wednesday and reopens late on Thursday most weeks for cleaning. The pool has close by pay and display parking and access is via the beach or from the car park down a moderate staircase. If you fancy grabbing something to eat or a coffee then head on over to the Calm Cafe their open 7 days a week. 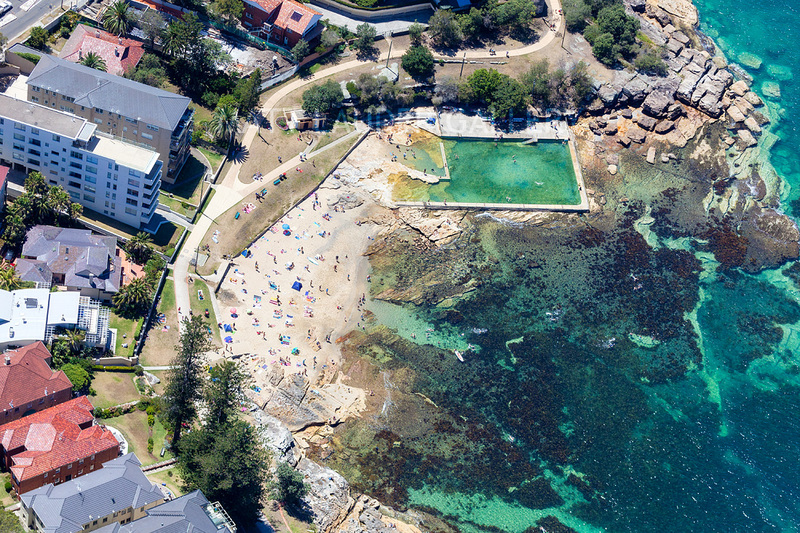 Perfectly set along the Manly to Shelly Beach Walk is where you will find idyllic Fairy Bower Ocean Baths, that was built by locals in 1929. The pool for as long as I can remember has two sculptures that sit along the rock edge are known as ‘The Sea Nymphs’ or ‘The Oceanides’, were created by Helen Leete. 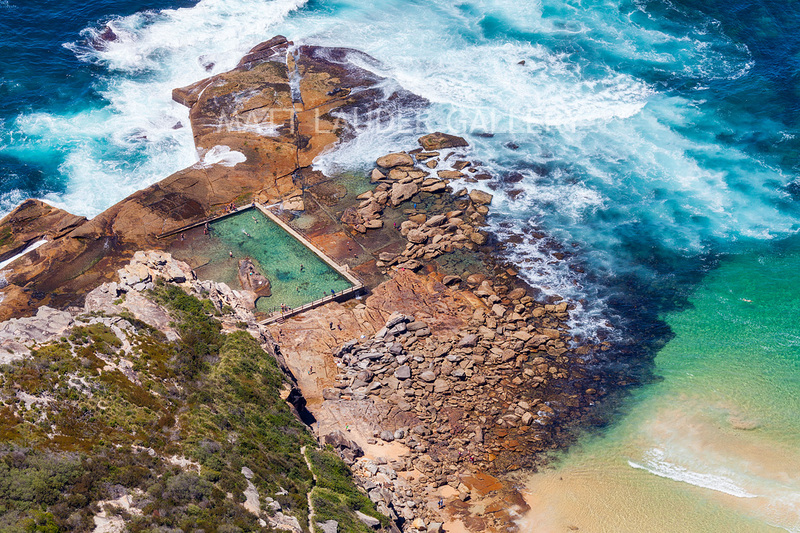 Mahon Pool is a true ocean rock pool carved out of the sandstone that lines Sydney’s coastline. Built-in the 1930s the baths don’t have any closing times as it is truly an ocean baths that is cleaned and refreshed by the oceans natural tides. Sometimes on low tides and hot days in summer the water in there can get a bit warm and fragrant. 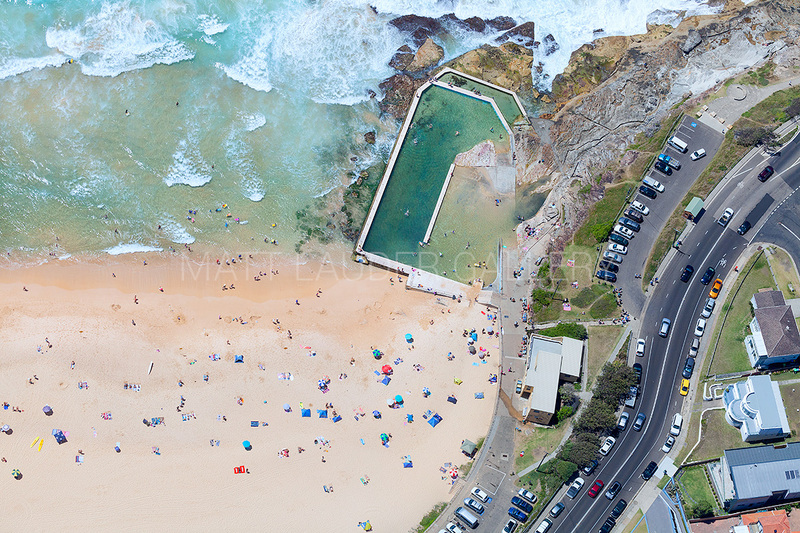 Mona Vale Rock Pool is a real jewel in the crown of ocean baths towards the northern end of the Northern Beaches, the baths sit towards the northern end of Mona Vale baths and not exactly right on the beach either. The rock pool is made up of two pools the larger one being 30 meters in length and relatively shallow for an ocean baths and the second is perfect for little kids and toddlers. 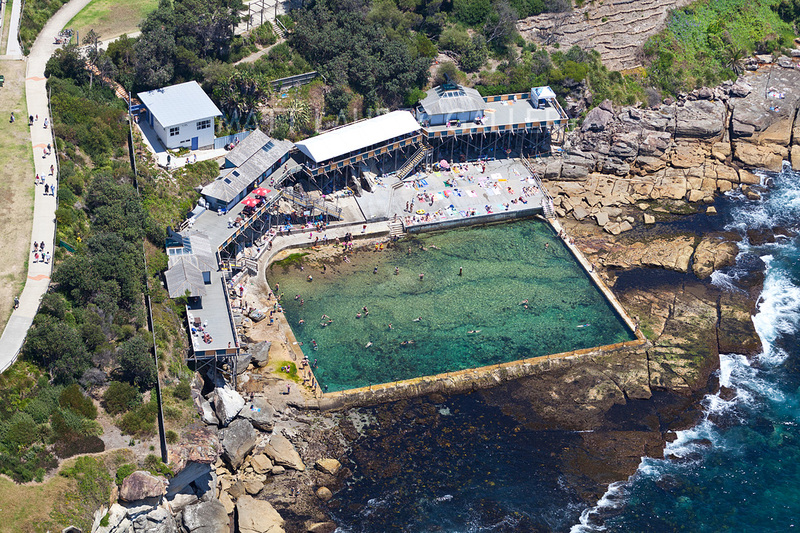 The ocean baths are cleaned on a Wednesday and or Thursday each week and it alternates. For more of a schedule visit this link on the Northern Beaches Council home page. Back in 1883 Waverly Council put aside $150 pounds for the construction of the Bronte Baths and four years later in 1887 construction started and the baths opened that year. The baths were open between 10 am and 4 pm daily to both men and women (this was due to noise complains so opening times where required), though on Sundays and Public Holidays the baths were only open to men. The Bronte Baths have been known by many different names including Bond’s Ocean Pool, Wylie’s Bronte Baths and Bronte Ocean Pool. Funny that Harry Wylie ended up with ocean baths named after him anyway with the Wylie Ocean Baths just south of Coogee. Bronte Ocean Baths are a unique shape and are nice and deep (over 2 meters) it has 30 meter long marked lanes and a wooden barrier that separates the swimming area from the more shallow area reserved for general swimming and paddling about. Pool cleaning times are not structured like most of the other big ocean pools but details of when they are done can be found on the Waverly Council Website. 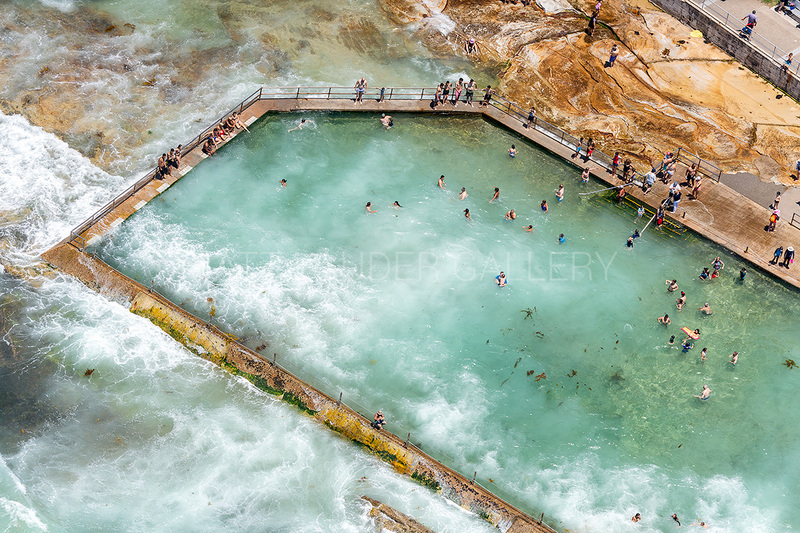 The Bronte Rock pool I feel deserves a worthy mention. 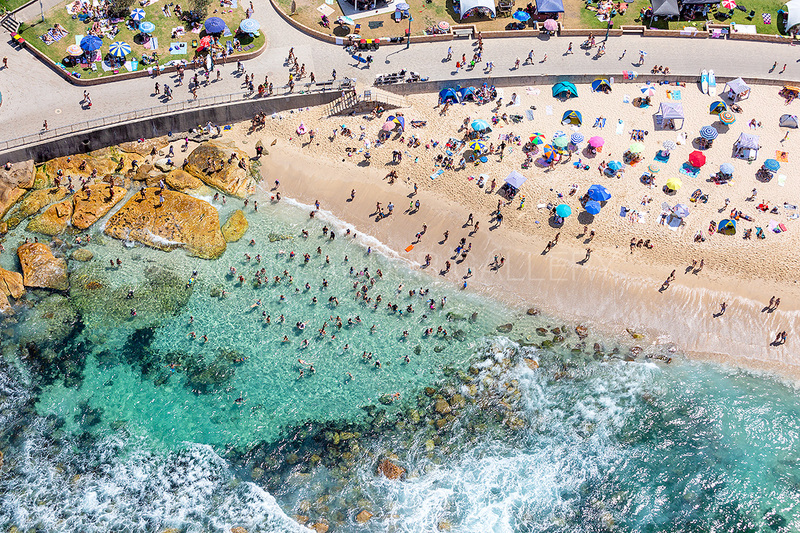 It can be found about 20 meters along the beach from the Bronte Ocean Baths and from the air they look gorgeous. In summer it is packed, well shealtered from the general ocean waves and currents. Always fresh and clean from the ocean. Not much more to say, just have a look at that photo. I love it. Oak Park Beach Ocean Pool is located in Cronulla and one of the very few ocean baths where it has a sandy beach entry. The pool gets quite deep towards the seawall (close to 2 meters). The pool is cleaned by the natural ocean currents. 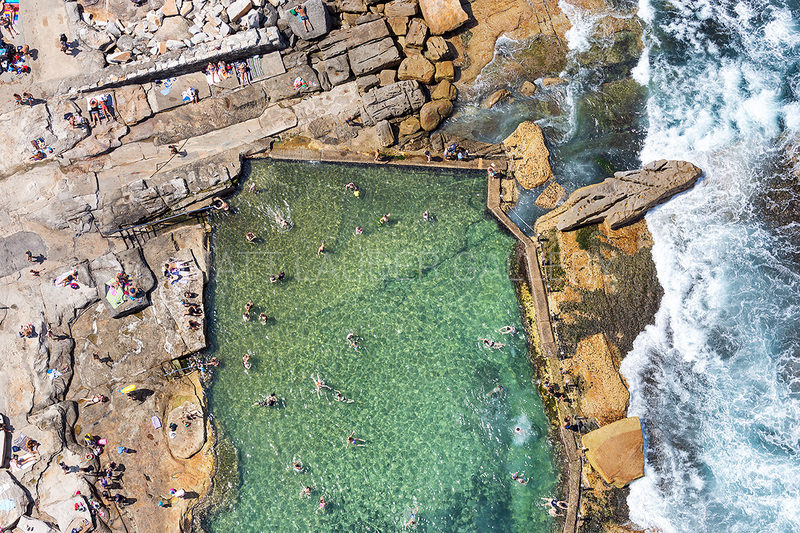 The North Curl Curl Rock Pool is exactly what a rock pool is. The base is all rock and concrete walls surrounding it make it a pool. The pool is about 32 meters x 20 meters in size and only approx 1.4 meters deep. As you can see it has a raised rock formation to one side limiting the number of people that can do laps. The pool once of the least accessible along the Sydney coastline can be accessed via the beach and rocks in low tide, in high tide access is via the coastal walk. In large swell, the waves can explode off the back wall of the baths in an impressive explosion of water. This is another rock pool that is naturally cleaned by the ocean tide. An ocean baths tucked away up in the suburbs of the Northern Beaches, not really too far from Manly, but certainly far enough to avoid the tourist crowds. Officially opened in 1927 after local residents kicked in $600 pound and the council the other half. If your ever doing the Manly to Spit walk (Spit Bridge) you will be taken past the Fairlight Ocean Pool, great if you fancy a quick dip. 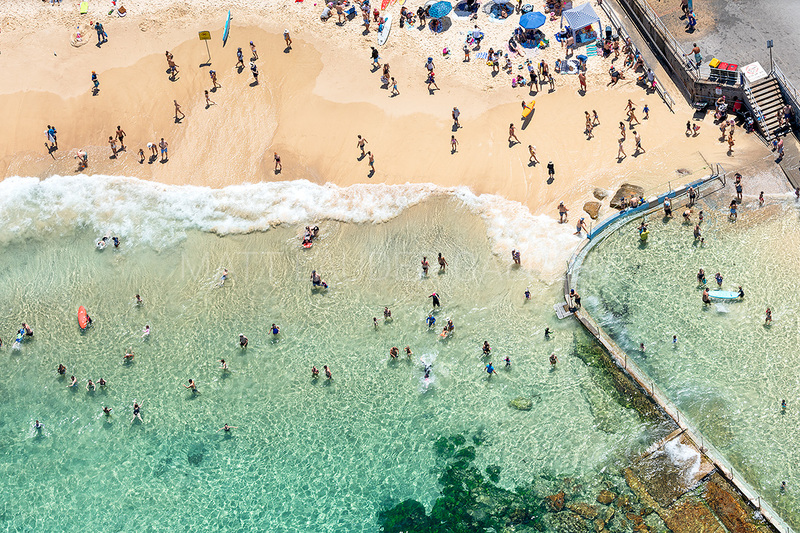 When it comes to ocean baths in Sydney, none are as well known or as upper class as the Bondi Icebergs. First established back in 1929 by a group of life savings looking to keep up their fitness during the quieter winter months. Over the years the club has grown from a tin shed to a full establishment with a licensed bar, restaurant, and even poker machines… yay. A fun fact in the 1940s the club introduced a 15B rule that stands to this day to be officially an Iceberg, you have to swim at the club at least 3 out of 4 Sundays a month for five years. Now that is dedication. 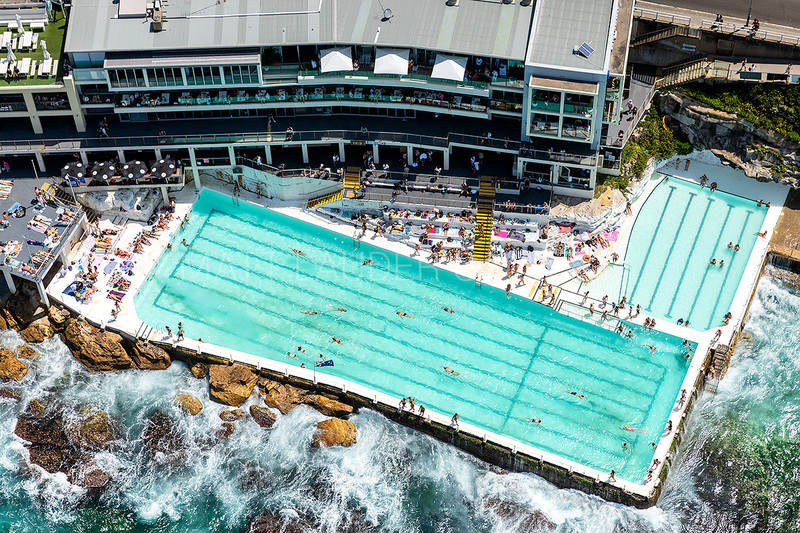 The Bondi Icebergs has two pools a main Olympic sized lap pool and a small pool with lanes as well. The baths are closed every Thursday for cleaning and if you fancy a swim here it will cost you $8 bucks as an adult. Dee Why Ocean Baths comprise of a 50 meter laned pool and a small pool at the southern end perfectly designed for toddlers and children. Dee Why has a strange history when public bathing became legal in 1903 the beach was owned by the Salvation Army that prohibited swimming there and as a deterrent lined the beach with wire netting. The old days of thinking is just mind-boggling. The Salvos sold the beach in 1912 and when the beach was opened to the public the formation of the baths soon evolved. Dee Why Ocean Baths are closed late on a Thursday or in the early hours of a Friday for cleaning and reopen at 5 pm on a Friday each week. Coogee Ocean Baths or better known to locals as the Ross Jones Memorial Pool was built in 1947 at the southern end of the beach at the base of the Coogee Surf Life Saving Club. The pool itself is only about 17 meters long and has a small kind of kids paddling pool area as well behind the main pool that really only has water on a high tide. The pool has an interesting concrete turret spaced out around the pool. I’m not sure that they serve any kind of function though when I first started photography the original ones were worn down and gave the baths a lot of character. Wylies Baths were established in 1907 by Henry Wylie and were one of the first mixed gender baths in Australia. In 1959 the lease for the baths changed hands and it was named Sunstrip Pool until in the mid 70’s the baths were damaged in bad weather and closed and reopened in 1978 by Randwick council who renamed them Wylies Baths. Wylie’s Baths has been classified by the National Trust of Australia (NSW Division). 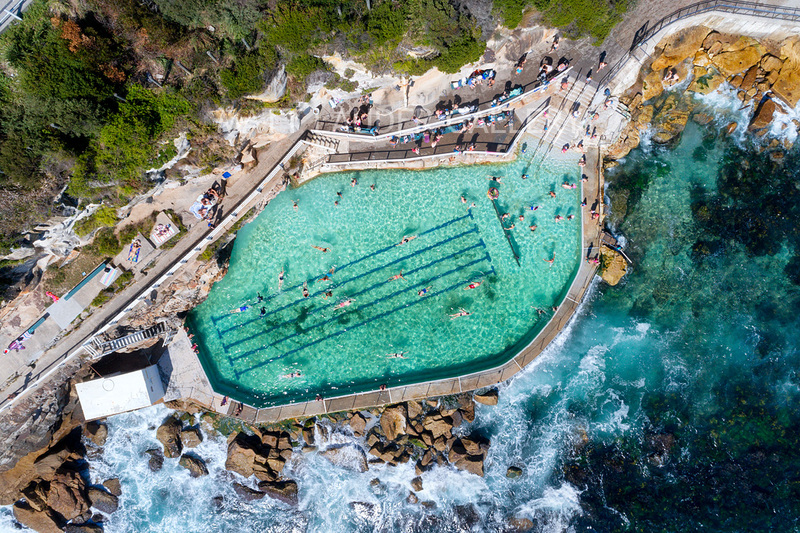 Like the Bondi Icebergs, Wylies Baths is one of the few paid entry baths on the Sydney Coastline and admission for an adult will set you back a cool $5.50. 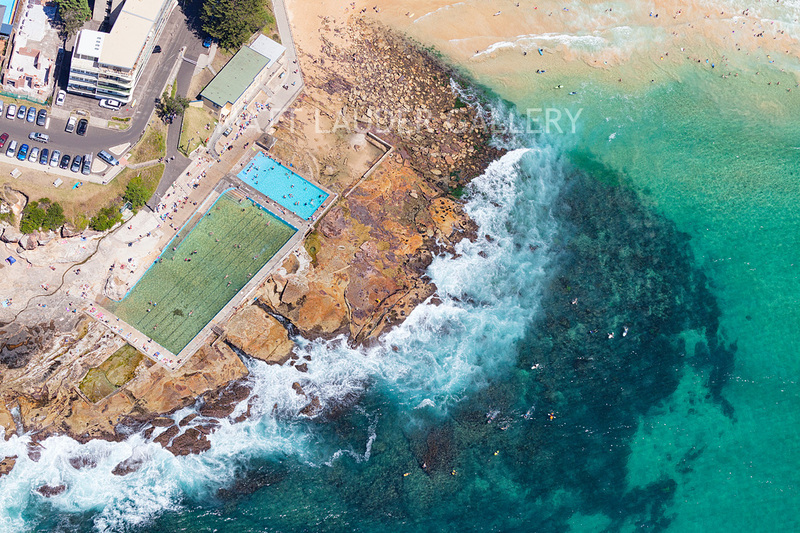 North Bondi Rock Pool is also known as Mermaids Pool was built 1947 by the council as a pool for kids to swim in. Attached to the pool is a smaller rock pool known as Wally Weeks Pool. Pretty basic when it comes to rock pools, but worthy of a mention as they are a great spot to go if you have kids and don’t want to test the Bondi surf. Both these pools are for kids to splash about in, they’re not deep at all and are relatively small. 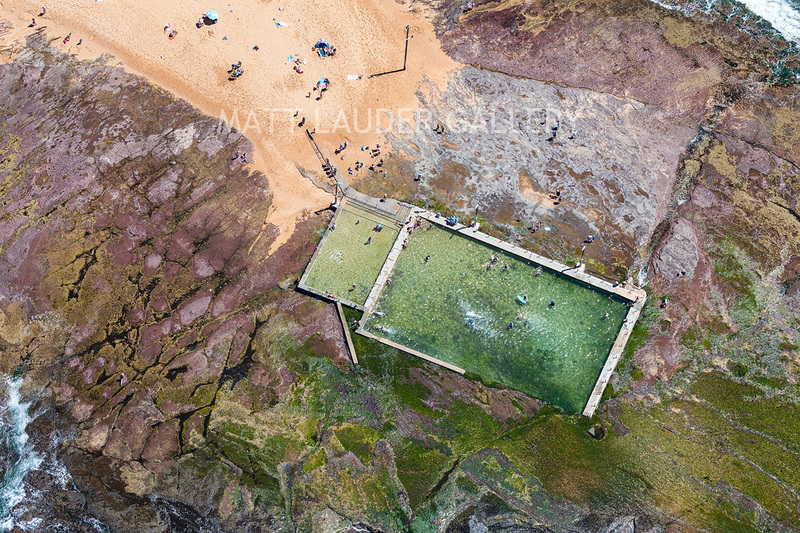 Here is an image where you can see both of the ocean baths in the shot as referred too. Built in the 1920’s the South Curl Curl Ocean Baths are far different from it’s North Curl Curl rock pool. Swimmers can enjoy doing laps in the 50 meter width. The baths are sectioned off with a wall so people can enjoy the deeper water and do laps while kids can easly play in the shallower area. The baths are cleaned mostly on a Sunday evening and re opened Monday morning. Here is a great photo of the South Curl Curl Ocean Baths on an amazing red sunrise. Cronulla Ocean Pool is a full-sized Olympic sized pool but with the bottom being sand it has no marked lanes, but if marked would be 8 lanes. Built back in 1941 the Cronulla Baths also has another nearby rock pool. Strange to have two so close together. 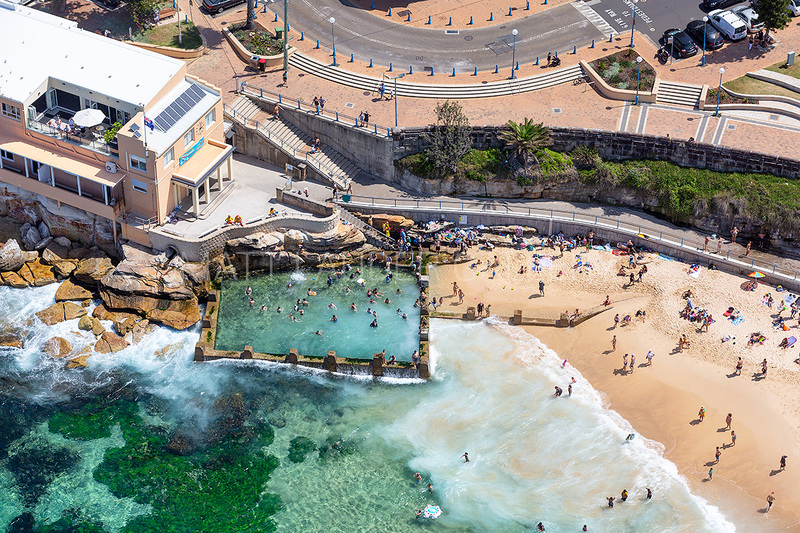 The Cronulla Ocean baths are cleaned and refreshed by the natural ocean tide. 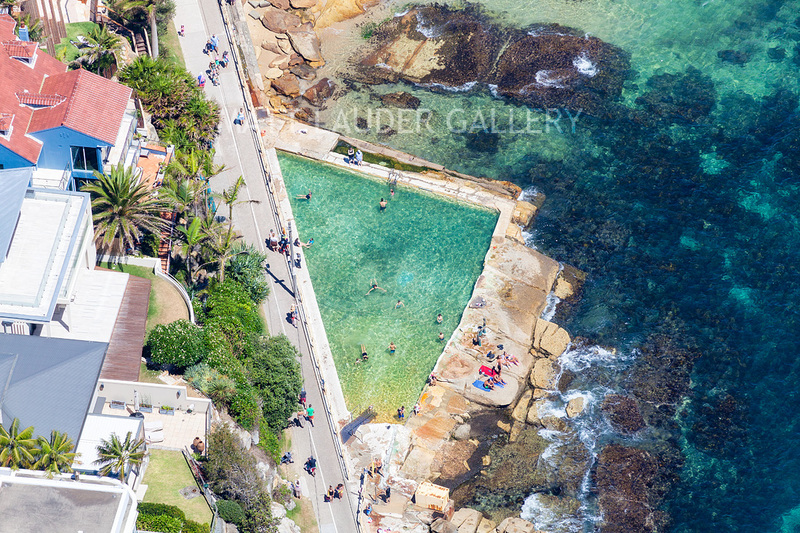 This entry was posted in Photo Guides and tagged Best Sydney Ocean Baths to swim in, Sydney Ocean Baths, Sydney Outdoor Pools. Bookmark the permalink.